There is a fresh wave of controversy involving Football Association of Malawi (FAM) and Super League of Malawi (SULOM) over the Flames’ forthcoming participation in the Cecafa tournament to be hosted by Ethiopia. Sulom argues that the Flames’ presence in Addis Ababa will interfere with the Super League calendar. Meanwhile, FAM is finalizing all necessary preparations for the team to take part in the East African tournament as guests. 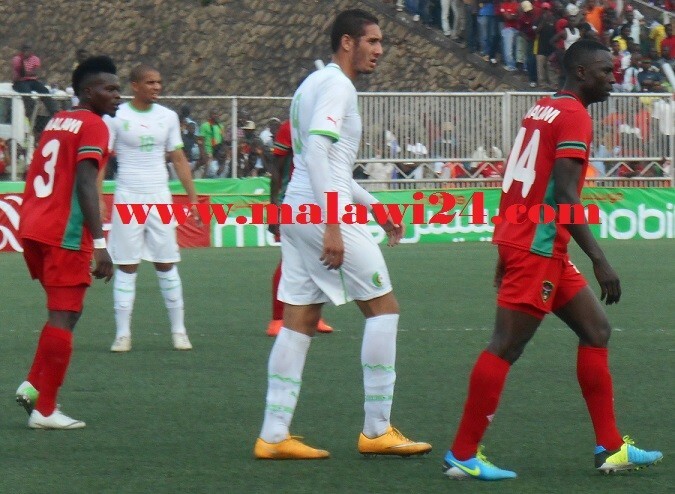 FAM’s position has been strengthened by Cecafa’s confirmation on Monday regarding Malawi’s inclusion in the tournament. A draw for the tournament that was conducted yesterday saw Malawi being grouped with Sudan, South Sudan and Djibouti in group C.
Flames: Will be heading to Cecafa. The football showdown will start on 21st November and will wind up on 5th December. Malawi is the only guest team in the competition as indicated by organizers. However, Sulom has vowed to forge ahead with its Super League calendar citing late communication from the soccer governing body as the reason behind their actions. It is in their interest to have the country’s flagship league concluded in due time hence avoiding tampering with the fixtures. This is likely to affect football clubs that have contributed more than three players to the national team. Local soccer rules states that clubs that have contributed a minimum of three players for national duty should be exempted from any competitive domestic action. With reference to Sulom’s firm stand, clubs have to find suitable replacements for their players who will be on a mission to raise the black, red and green colors higher. The Flames will begin their campaign on 23 November against Sudan; two days later they will face Djibouti and finally finish off the group stages against South Sudan on 27th November. Two top teams in each group plus two best third placed finishers will qualify for the last 8 knockout round. Flames coach Ernest Mtawali is expected to name his final squad this coming weekend. The tournament comes as a platform for Mtawali to get his charges organized into a coordinated team. every tournament is important in a game of football. as a coach you need to participate to get experience,courage, trust and confidence both from your boys as well as your employers. how do u assemble a good squad if not participating in int’nal games like this? malawians always find a scapegoat when it comes to int’nal game participation. They keep on telling us its either financial problems or management issues and then expect to rise on rankings poor mind. Mr coach and your vice,this tym u need to select gud players not mbofyombofyo. no way! even the standard of play in cecafa is way ahead of us! SULOM are you out of your minds?this tounament will help mtawali build a better national team. Mtawali and Ramadhan, please this is our level tournament take serious, as a malawian am very happy if u bring here this cecafa not plate. sulom dziwani kuti usinini supambana dzino,FAM is ur DAD,obey him,no politics here iyaaaaaaa! Zachabechabe! Sulom yadzadza ndi a bwampini eti? Nzelu yopusa imeneyo mukufuna mudye ndalama sports. Clubs register about 23 players for league competition. Contributing three or four players can not deter a team from playing a league game. That’s why Malawi football is not developing, silly rules. Malawi a country of confusionists.